New selection of old comics! 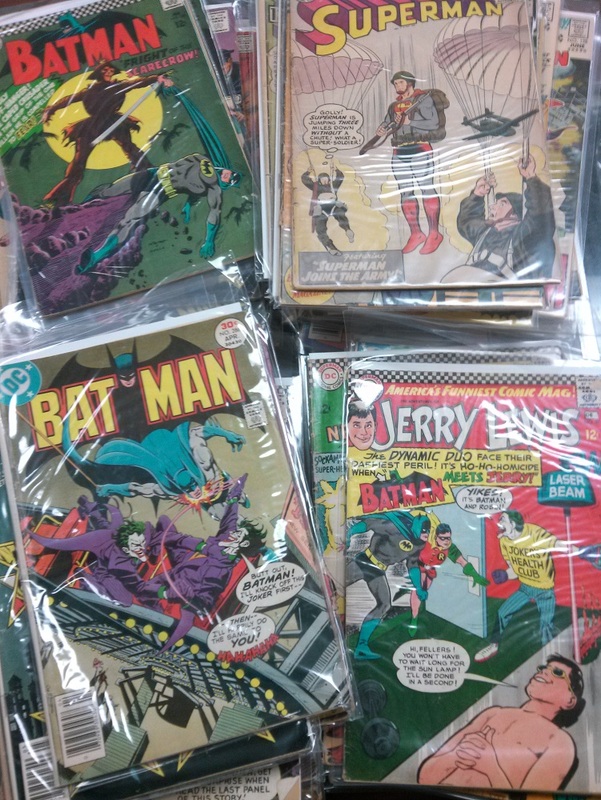 Just acquired a few dozen Silver Age and Bronze Age DC Comics, including Superman, Batman, Detective, Adventure, Lois Lane, Jimmy Olsen, and more! The first Silver Age appearance of the Scarecrow! Superman #156 from 1962, featuring the legendary classic story “The Last Days of Superman!” And lots more, in generally affordable shape! Drop on by and check out the new arrivals! This entry was posted in Comics on September 24, 2015 by Mike.